Remember Jesus! Remember his great sacrifice. Remember his incomparable love for you! 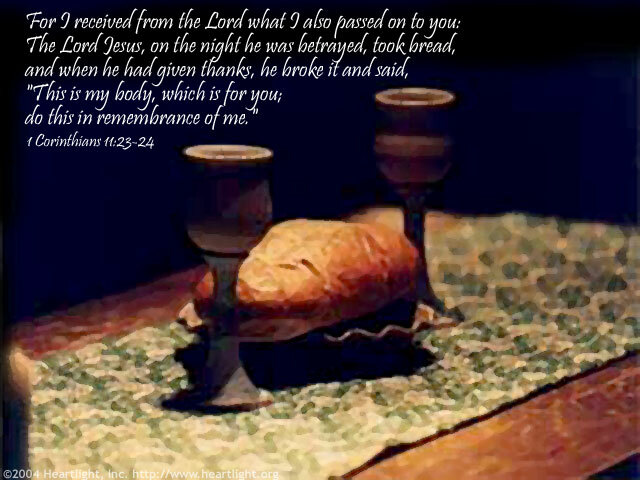 Remember him through his Supper! Remember Jesus! O Father, thank you so much for Jesus! Thank you for blessing me with a spiritual meal which reminds me and proclaims again that Jesus died, offering his body and blood as the atoning sacrifice for my sins. Thank you for giving me the day of his resurrection as the day I can powerfully remember this great sacrifice and anticipate the great day of reunion that his resurrection has secured for your children. In Jesus' name I pray. Amen.